What symptoms can be improved with CBD? Another famous story regarding CBD use for epilepsy disorders is the Charlotte’s Web family, which can be found on the internet at http://www.cwhemp.com, or on the Epilepsy Foundation of Colorado’s website, which we highly recommend looking at. Is CBD a good treatment option for me, or my children? If you or your children have a disease state similar to those mentioned above, you may be a good candidate for the use of CBD. However, it is important to note that before using these types of products, you should consult your physician and/or pharmacist to determine whether or not it is a good option for you. Just like other medications and supplements, CBD can interact with your current medication regimens. It is critical to maintain a transparent relationship with your healthcare providers in an effort to ensure your safety, as well as your success in treatment. 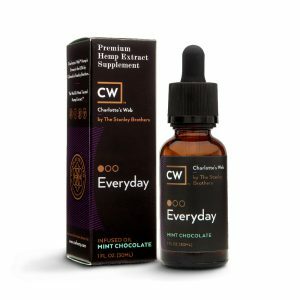 Community Farmacy carries two well-established brands of CBD oil – CWHemp, makers of Charlotte’s Web CBD Oil, and Plus CBD Oil (+CBD Oil). 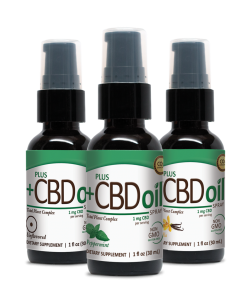 Stop in or call us today at (410) 749-1899 for more information on CBD oil, and to see if it’s right for you! Fernández-Ruiz J, Romero J, Ramos JA. Endocannabinoids and neurodegenerative disorders: Parkinson’s disease, Huntington’s chorea, Alzheimer’s disease, and others. Handb Exp Pharmacol. 2015;231:233–59. Porter BE, Jacobson C. Report of a parent survey of cannabidiol-enriched cannabis use in pediatric treatment-resistant epilepsy. Epilepsy Behav. 2013;29:574–7. Sultan SR, Millar SA, England TJ, O’Sullivan SE. A Systematic Review and Meta-Analysis of the Haemodynamic Effects of Cannabidiol. Frontiers in Pharmacology. 2017;8:81. doi:10.3389/fphar.2017.00081. Xiong W, Cui T, Cheng K, Yang F, Chen S-R, Willenbring D et al (2012). Cannabinoids suppress inflammatory and neuropathic pain by targeting α3 glycine receptors. J Exp Med 209: 1121–1134. Written by Bryce Bristow, PharmD Candidate, Class of 2018, University of Maryland Eastern Shore School of Pharmacy.